Distraction and lack of concentration are usually the main reasons that affect a child’s performances in school. One can understands easily that the students with Attention Deficit Disorder condition are more likely to be more victimised and be less focused on in class. A school teacher is usually constrained by the period of time available, and they are only able to give a limited personal attention to each student in class. In private tutoring in Maths or Physics, the situation is different because the teacher has a big advantage of increasing the student concentration, leading to higher achievements. One-on-One tutoring places the student in a much more controllable environment, and less meddling or timid student feel less embarrassed to ask questions and a tutor in Maths, Physics or English is there to help, not judge him or her. In fact a student can ask a tutor to go over some topics to clarify misunderstood points. 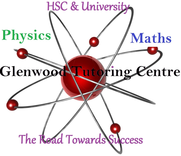 In centres such as Glenwood Tutoring Centre available at www.tutorinmaths.com.au and tutorinsydney.com, teachers and tutors are taking motivating approaches to teaching and providing tailored sessions to the need of each student. Of course the ultimate goal is to foster student’s desire to discover, to learn and excel, and that is achieved with time and with the positive results obtained. The difficulties that students encounter especially in Maths and Physics are often due to a methodological problem. Private tuition has the potential to solve this problem and can address the situation because of the interaction between the tutor and the student using questions and answers. Of course a Maths or Physics tutor is not a magician but one can play a major role in the student’s achievement - improving their self esteem, confidence and most importantly, their results.